In the final part of this series of posts I’m going to share some of my thoughts on how the Atonement of Christ enables us to overcome our physical shortcomings. The previous posts in the series have included an introduction, and then my thoughts on how Christ helps us overcome our Spiritual, Emotional, and Intellectual shortcomings. “Doubt and cynicism about Jesus, about the reality of His resurrection, and even about His historical reality, increasingly have become the hallmark of our age. We observe with sorrow learned scholars who make a mockery of Christ, denying His virgin birth and resurrection, deriding His commandments, substituting pallid situational ethics for the eternally relevant certainties of the Sermon on the Mount…. Whether or not we believe in the resurrection will determine whether we believe in a Christ who is simply the historical figure who went about doing good, and left some useful teachings behind, or whether we believe in a Christ who has power to save, and to bless all of mankind. “His death on the cross, after he had been rejected and betrayed and had suffered appalling indignities, seems not to be in dispute, even among nonbelievers. That he gave his life voluntarily, with the express purpose of taking it up again in the Resurrection, is not so universally accepted. Such, however, is the fact. He was, it is true, maliciously slain by wicked men, but all the while he held the power to stay them. “I lay down my life,” he said, “that I might take it again. Each of these: the power to vicariously suffer for sins, pains, sicknesses, and so much more for all of the Father’s children; the power to lay down His life at a moment of His choice; and the power to reunite spirit and body in a way that provides immortality not just for Himself but for all of mankind – these are beyond the understanding of mortal man. We cannot comprehend how these things can be possible, but their reality is the central message of the entire gospel. It was difficult for the Apostles and others closest to Him, to whom He had directly taught that He would die and rise again, to understand what had happened following His death, so much so that they didn’t believe the reports they were receiving of His resurrection. 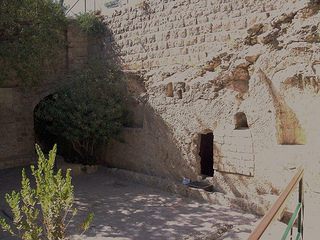 The gospel writer Mark records that when the group of women went to the tomb on the Sunday morning following the crucifixion, when the angel told them that He was alive, “they were afraid” (Mark 16:8). When Mary told the disciples that the resurrected Jesus had appeared to her, they “believed not” (Mark 16:11). When the two disciples on the road to Emmaus subsequently told them of their experience, “neither believed they them” (Mark 16:13). As followers of Christ, we believe, but I wonder how often our belief is more theoretical than really deep-seated. After all, we believe, but when things in our own lives happen that we don’t expect, our own faith is sometimes challenged. Are we really any different from the Apostles in this regard? He afterwards appeared to the 11 apostles, then to 500, and the Book of Mormon – Another Testament of Christ – reports that the resurrected Christ appeared on the other side of the world to many thousands of people. In a day to come, every knee shall bow before Him, and every tongue confess that He is their Saviour and Redeemer. Throughout His ministry, both in the old world and the new, Christ went about healing those who were sick. In all of the healings there were, of course, spiritual lessons to be learned. The blind that received their sight teach us that we are all, to some degree, spiritually blind, and need the Saviour to be able to see things “as they really are” (see Jacob 4:13), for example. Sandwiched in the middle of this miracle, and the reason Jesus was delayed getting to Jairus’ house, is another miracle. A woman who had an issue of blood for 12 years. This of course, made her ritually unclean amongst the Jews, and in addition to the pain, discomfort, and inconvenience this condition would have brought upon her, probably limited her ability to access society, both temporal and religious. Luke tells us that she had, “…spent all her living upon physicians…” trying to be cured. Of course, medicine wasn’t then what it is today, and the physicians she would have visited would have used a whole host of bizarre “healing” techniques, and some probably would have taken advantage of her. So, she couldn’t go to the market and associate with other women; she couldn’t go to the synagogue to worship; she was effectively shut out of society, and she was flouting the law by going out into the street to touch the border of Jesus’s robe, because all who she touched in the thronging crowd – not least of whom was at the very least considered a highly regarded rabbi, and for many the promised Messiah – would also have become ritually unclean by her acts. This was an act of desperation for a woman of faith. And these “cures”, which all seem at the very least bizarre to us today, would likely have been the more reputable ones! And, of course, all the cures she had sought, had simply made her worse. Perhaps there is a symbolism in the fact that she had been ill 12 years, suggesting that this was an illness that could only be healed by Priesthood power, 12 being the symbolic number related to the Priesthood. O the dread that must have filled her, as she realised that her touch had somehow not gone un-noticed in the crowd, and it is not long before she comes forward, “trembling” – probably expecting a rebuke. She falls down before Him, and then declares “before all the people” what she had done. I suspect there were those in the crowd who were horrified that she would do such a thing when, according to their customs, she ought to be hiding away at home. Rather than castigate her for her actions, however, He gives her the honour of calling her a daughter and in love proclaims, “…thy faith hath made thee whole; go in peace.” (Luke 8:48) It was not just her body that was healed that day. And the Saviour’s love and compassion for the people’s physical welfare didn’t just extend to their illnesses. It extends also to their general wellbeing. Consider His words in Matthew, “Then Jesus called his disciples unto him, and said, I have compassion on the multitude, because they continue with me now three days, and have nothing to eat: and I will not send them away fasting, lest they faint in the way.” (Matt 15:32). He then turned the seven loves of bread and the “few little fishes” into a meal for four thousand men, “beside women and children”. I love that phrase, “I will not send them away…lest they faint.” Christ never sends us away. He wants to stay close to us. In this example, there is no record of the people clamouring for food; there is nothing that says the people said they were famished, or weak. They had, we presume, lost interest in food and had been held rapt by His words through the day. But they were still mortals, and probably had some distance to walk – men, women and children – to get to their homes, after a long day in the hot sun. And Jesus knew their needs, possibly before they knew themselves, and desired to fill those needs. We talk often of the scripture in Corinthians that God, “…will not suffer you to be tempted above that ye are able’ but with the temptation also make a way to escape, that ye may be able to bear it.” (1 Cor 10:13). But in addition to the temptations against our spiritual natures that this refers to and which we usually quote this in relation to, surely it also refers to the limitations and challenges we face because of our physical natures. In the Book of Mormon, Alma cried out, “O Lord, wilt thou give me strength, that I may bear with mine infirmities.” (Alma 31:30) And Paul explained, “For we have not an high priest which cannot be touched with the feeling of our infirmities…” (Heb 4:15) So, we have here Paul explaining that Christ felt our infirmities, and Alma appealing for strength so that he may “bear” his. Isaiah speaks of this when he says, “But they that wait upon the Lord shall renew their strength; they shall mount up with wings as eagles; they shall run, and not be weary; and they shall walk, and not faint.” (Isaiah 40:31) This is a blessing that is repeated in our day of course, in connection with the Word of Wisdom. The Lord won’t always heal our physical imperfections. We are given limitations in part at least so that we can learn to rely on the Saviour. But such limitations can, and will, become blessings to us as we come to Christ, and partake of His grace. As we do so, we will never be found physically lacking in any of the really important ways. Categories: Articles | Tags: Atonement, Christ, Christian, Faith, Healer, LDS, Mormon, Religion, Resurrection, Strength | Permalink.